A film maker and an artist, each with their own established practice, combined their creative energies to create a wonderful short animated film Libertas. They decided to set up a new studio together and asked ampulets to create an identity for their studio. Having just relocated back to Singapore, the studio presents a new phase of their life. Their desire is to evolve the studio as an open, creative space to experiment, collaborate and explore the sum of their two creative practices - and more. 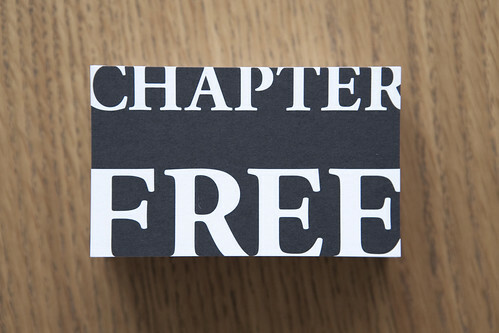 Drawing from their beliefs and aspirations, Chapter Free was born - a continuation and a taking off. 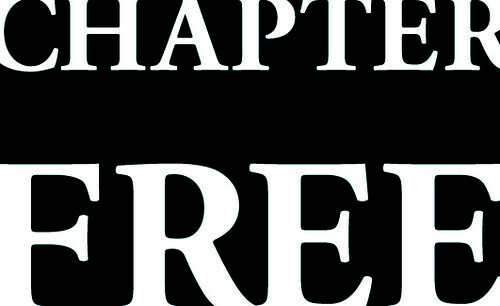 The visual identity of Chapter Free starts from a form that can be seen as single frame of film, an artist's blank canvas or an open field. The text simultaneously defines the frame within and expands beyond it to take on the surrounding space. We also looked to develop a visual identity that could be easily applied by the still-new studio. We kept its form basic, its type classic and its contrasts sharp with the aim that it would stand the test of time. Simply, The studio's business card is itself the logo, and extended to production credits, stationery and the website - essentials for the studio to start presenting its work and identity.